Google has just sent out an Email to select Android developers informing them that they are eligible to receive either a Verizon Droid or a Nexus One, as part of its ‘Device Seeding Program’. The criteria for getting one of the phones is to have an application with 3.5 stars or higher and more than 5,000 downloads, which sounds like it could include quite a few developers. In an odd move, Google isn’t actually allowing the developers to pick which device they’re receiving — if you’re in the US, you’ll get a Droid or Nexus One, at random. 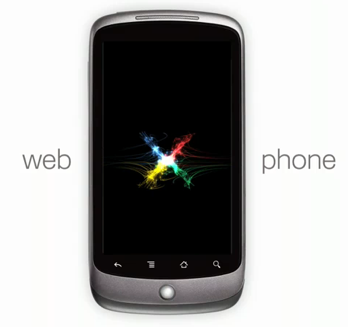 If you’re in Canada, the EU, Norway, Lichtenstein, Switzerland, Hong Kong, Taiwan, or Singapore, you get a Nexus One. If you’re not in any of those, you don’t get a phone at all (Google explains that the phones aren’t certified in other countries). So why is Google doing this? Android is already having to deal with fragmentation issues, as a large number of users (and developers) have older phones that aren’t running Android 2.0. Now that the Droid, which runs 2.0, comprises a big part of Android’s market share, it’s in Google’s best interest to make sure that Android’s best developers are building software that’s compatible with the latest devices. The free phones also serve as a nice carrot to entice developers to build quality applications. You will receive either a Verizon Droid by Motorola or a Nexus One. insanely popular apps for Android! A thriving developer community is an important part of creating a better mobile experience for users around the world. We hope that offering devices to developers will make it easier for them to create and test great applications. This is inline with other efforts to support developers, which also includes our Android Developer Labs World Tour and our upcoming participation at the Game Developers Conference.